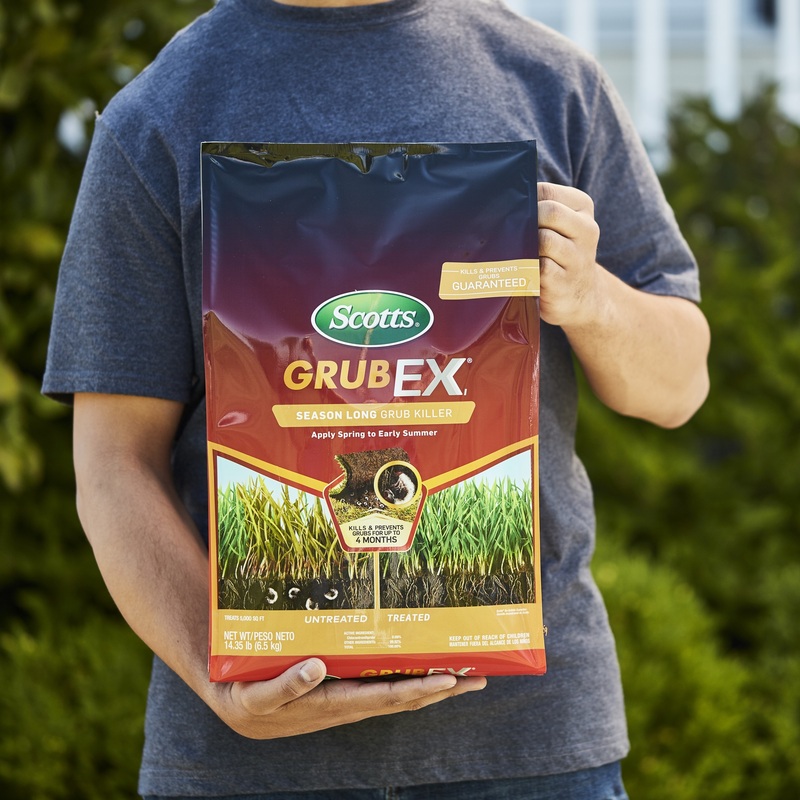 Protect your yard from grubs with Scotts® GrubEx®1. 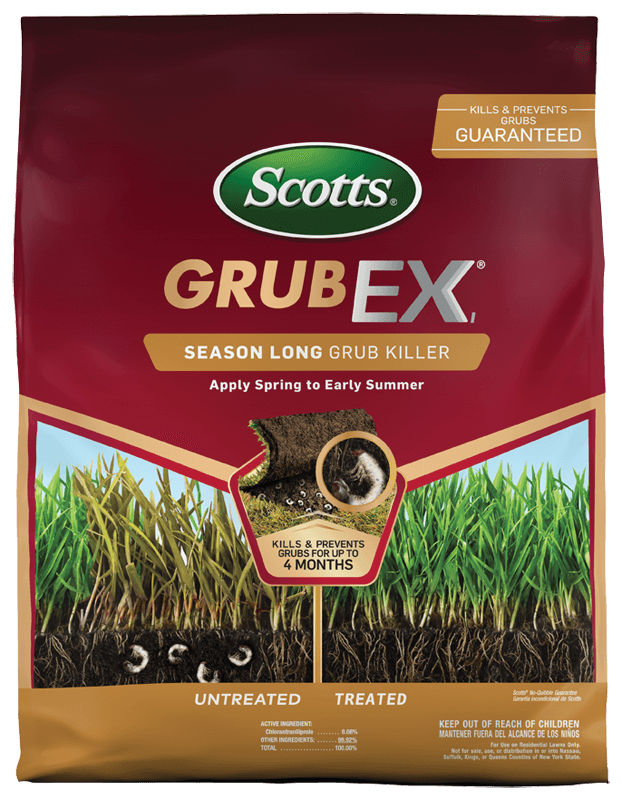 Apply in spring to early summer to prevent grubs from causing turf damage. 1. Set and fill spreader. 2. Apply to dry lawn. Water in thoroughly (approximately 1 inch) to activate. 3. Clean-up. 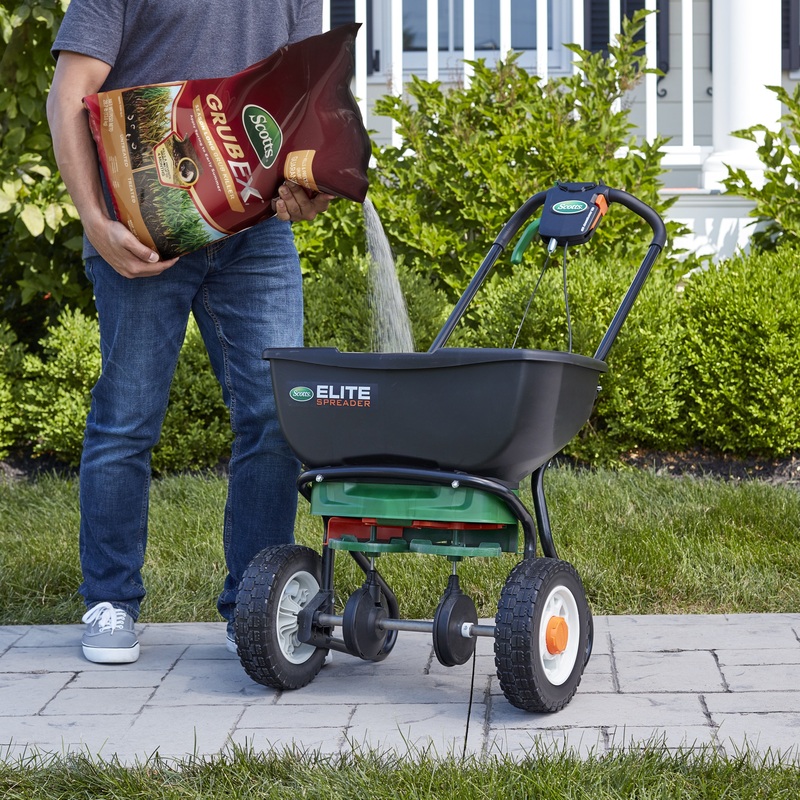 Sweep any product from hard surfaces onto the lawn. Not for sale, use, or distribution in Nassau, Suffolk, Kings or Queens counties of New York. Kills Japanese beetles, Caterpillars, Weevils, Chinchbugs, and more. One Application Kills And Prevents Grubs Up To 4 Months - Guaranteed*! 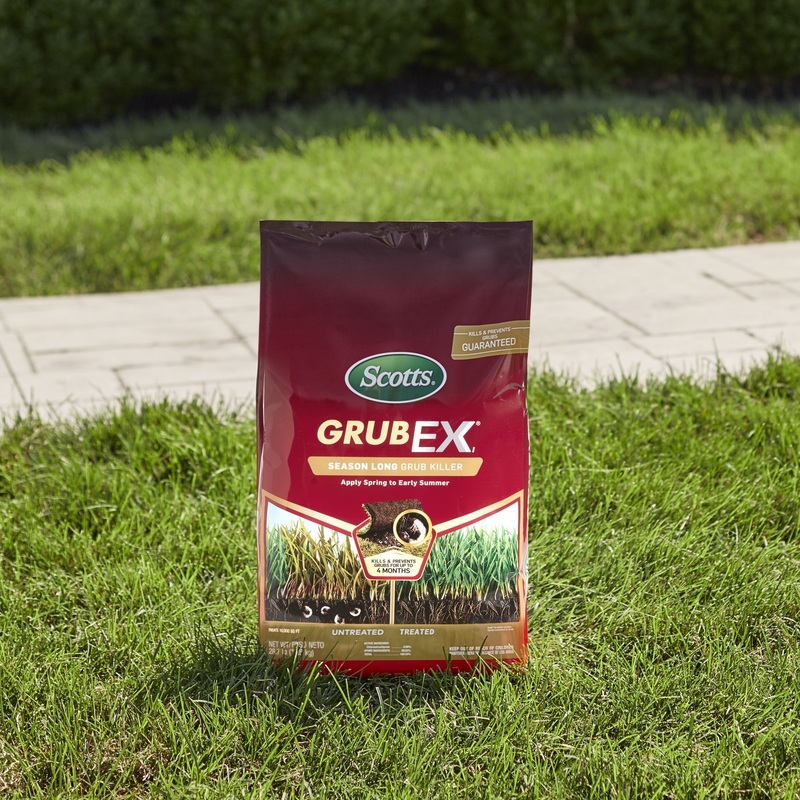 Stop grubs before they damage your lawn with Scotts GrubEx. Grubs and other listed insects can cause extensive damage to lawns by feeding on grass and its roots. Annual use can help control Japanese Beetle infestations. Use In Three Simple Steps! 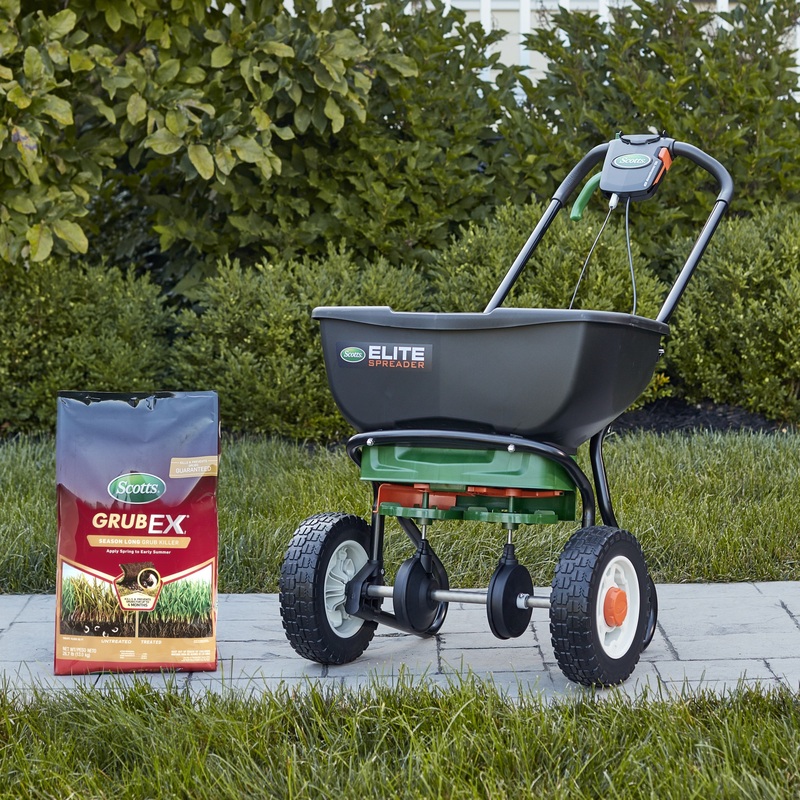 First, set and fill your spreader with the product. Then apply to a dry lawn - make sure to water thoroughly to activate. Then simply clean up!